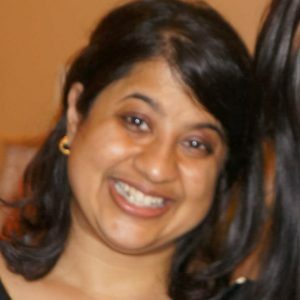 WASHINGTON, DC: On Monday, May 6th, the White House will honor Aparna Bhattacharyya of Raksha Inc. as one of fifteen Asian American and Pacific Islander (AAPI) women who are “Champions of Change.” A part of the White House’s observance of AAPI Heritage Month, this event will recognize Asian American, Native Hawaiian, and Pacific Islander women who are doing extraordinary things to create a more equal, safe, and prosperous future for their communities and the country. Bhattacharyya is a passionate advocate for immigrant survivors of family and sexual violence and ensuring they have access to safety, justice and healing. As the Executive Director of Raksha, Inc. in Atlanta Georgia, Aparna has worked to ensure that attorneys, law enforcement, and service providers are culturally competent to serve immigrant survivors. She is currently a Board Member for the Georgia Coalition Against Domestic Violence, VIDA Legal Assistance and the National Immigrant Women’s Advocacy Project. “These fifteen women represent the strength and diversity of the AAPI community. These leaders – in business, advocacy, philanthropy, sports, the arts, and academia – are wonderful examples for young women across the country,” said Valerie Jarrett, Senior Advisor to the President and Chair of the White House Council on Women and Girls. “As we celebrate Asian American and Pacific Islander Heritage Month this May, we pay tribute to the many AAPI women – from Bernice Pauahi Bishop to Congresswoman Patsy Mink to Sunita Pandya Williams – who have shaped the story of America,” added Tina Tchen, Chief of Staff to the First Lady and Executive Director of the White House Council on Women and Girls. To watch this event live, visit www.whitehouse.gov/live at 1:00 pm ET on Monday, May 6th. To learn more about the White House Champions of Change program and nominate a Champion, visit www.whitehouse.gov/champions.